Diabetes Scotland is seeking a results driven Engagement Manager for the North of Scotland. A key element of the Engagement manager role is to increase patient engagement so that patients are involved in shaping diabetes care in their local areas. This role is home based role based in North Scotland. The post-holder will seek to influence health boards, Health and Social Care Partnerships, hospitals and primary care. This will involve raising awareness and understanding of the impact of diabetes on individuals and their families as well as working collaboratively with partners to improve standards of diabetes care and reduce variations and inequalities. The role will also have a key focus on the Type 2 prevention and remission agendas. Will require an in-depth, and up-to-date, knowledge of relevant policy and legislation and the health and social care landscape in Scotland. You will have proven skills in influencing, driving positive change and experience of service improvement with the gravitas to build relationships with a wide range of stakeholders, including healthcare professionals, senior leaders within health and social care, local politicians and people living with diabetes. You will have demonstrable experience in strategic planning and delivering results using on outcomes focussed approach/impact practice. You will need to be willing to travel extensively around Scotland and when required across the UK and have a clean UK driving license and access to car for work purposes. *Some benefits aren&apos;t available until you&apos;ve passed your probation period and are dependent on the length of contract. Diabetes is the most potentially devastating – and fastest growing – health crisis of our time, requiring ongoing high-quality care and support. There are currently 4.7 million people in the UK living with diabetes, and there are 3.8 million people diagnosed with diabetes in the UK. Those diagnosed face the risk of life-changing, and life-limiting, complications, unless they are given the very best care and the support they need to manage their condition well. As a society we need to work together now – and take action now – to fund critical research, improve healthcare and treatment, and prevent yet more people developing this potentially life-threatening condition. 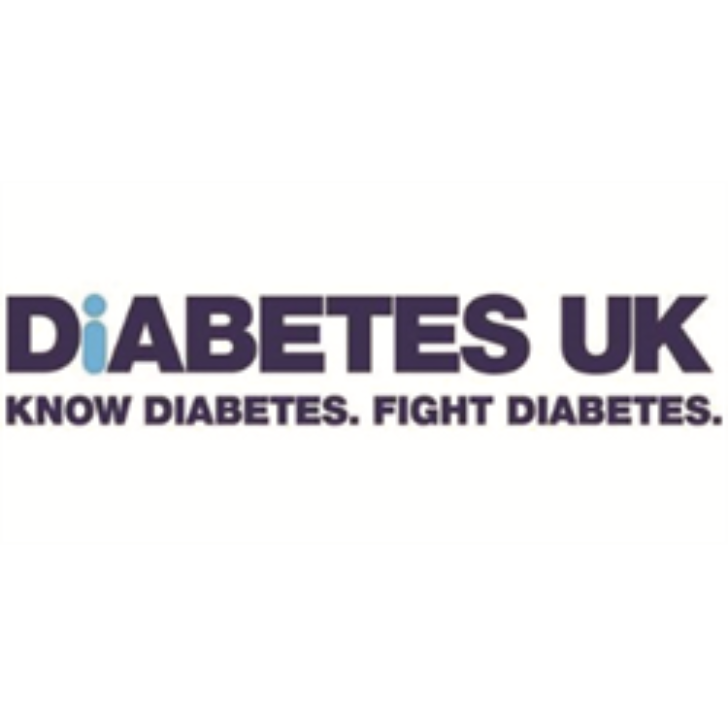 Diabetes UK is a forward thinking and commercially focused organisation, and is the leading charity for the 4.7 million people with the condition in the UK. As we continue to improve our processes, through continual development and change, this is an exciting time to join us. With established funding streams and following on from the success of our previous five-year plan, we are in a strong position to continue developing and responding to changing environments. We rely heavily upon the expertise and motivation of our staff in order to work towards our many aims and meet objectives. We aim to be an equal opportunity employer; the organisation recognises and respects the value and diversity of all. We gladly make the adjustments required for people with disabilities to join us. Our diverse functions mean that we can offer you a wide range of rewarding career opportunities. Under the Safeguarding Vulnerable Groups Act 2006, as amended in particular by the Protection of Freedoms Act 2012 this post is subject to pre-employment criminal records checks through the Disclosure and Barring Scheme (DBS), Disclosure Scotland, Access NI. Diabetes UK is committed to safeguarding and promoting the welfare of children, young people and adults at risk and expects all staff and volunteers to actively support this commitment. Diabetes UK recognises and respects the value and diversity of all. We have a vision of a world where diabetes can do no harm – if you’d like to be part of that, why not join us? The Services Development Coordinator will be a member of the Services Development Team based in Scotland. You will take responsibility for developing and ensuring successful delivery of services primarily across the East of Scotland but including some areas in the North of Scotland, which provide information and emotional and practical support to people affected by breast cancer, taking on responsibility for supervising a team of contract staff and supporting volunteers engaged with the services. Working closely with the Head of Scotland, and the Scotland Services Development Manager, you will ensure delivery of Breast Cancer Care’s face-to-face services for people affected by breast cancer, with ambitious targets to increase access and reach. A key part of this role will be developing and maintaining productive partnerships with healthcare and allied health professionals, and other third sector organisations, in the assigned locality. Breast Cancer Care is the only specialist UK-wide charity dedicated to providing support for people affected by breast cancer. We’re excited to tell you that, on 1 April 2019, we merged with Breast Cancer Now, the UK’s leading breast cancer research charity. From research to care, our new charity has people affected by breast cancer at its heart – providing support for today and hope for the future. United, we’ll have the ability to carry out even more world-class research, provide even more life-changing support and campaign more effectively for better services and care. Breast Cancer Care and Breast Cancer Now is an inclusive employer committed to developing a diverse workforce. From January 2017, SAMH have introduced a new suite of services throughout the whole of Aberdeenshire to support people with mental health problems and those with Autism on their recovery journey. These new and exciting services look and feel very different to the traditional models of support and will be based on fundamental principles of empowerment, resilience and hope. Around since 1923, SAMH is Scotland’s national mental health charity. Today, SAMH operates 60 services in communities across Scotland providing mental health social care support, homelessness, addictions and employment services among others. These services, together with our national programme work in See Me, respectme, suicide prevention and active living; inform our policy and campaign work to influence positive social change. We are seeking outstanding people to develop and deliver these services across Aberdeenshire. To successfully embed the 6 elements of our new peripatetic service, SAMH are seeking flexible, enthusiastic people to work with individuals, groups and volunteers within local communities across Aberdeenshire. As a flexible and skilled communicator you will deliver meaningful support to people accessing our services. Whether working with individuals or with groups you will support people to strengthen their existing skills and identify and build new skills. Utilising coaching approaches you will help people build momentum in self-management and personal resilience. Although this role will be working across the whole of Aberdeenshire, the post holder’s main focus of work will be concentrated within the north of the area. Leuchie House is unique in Scotland. We provide short respite breaks to up to 18 people at a time with long term, neurological conditions, principally but not exclusively Multiple Sclerosis. Our professional care, nursing and physiotherapy team enable guests to have a great holiday which in turn, gives their carers a break. What we do makes a real difference to the lives of hundreds of people. Leuchie is evolving with significant investment in our building, equipment, digital infrastructure and our staff team. We are re-shaping our delivery in line with future demand, our regulator’s expectations and our high aspirations. As part of our re-shaped senior team and in line with our succession plans we want to bring on board a leader of our health and care team who we will support to bed into a critical role in our organisation. The post holder will be a skilled, experienced and registered nursing professional. Dynamic and able to lead – someone who wants to make a positive difference to the quality of life experienced by people with long term neurological disorders. They will be able to inspire others, and work collaboratively and synergistically with professionals and volunteers and be committed to the highest quality of care at all times. You will be keen to work hands on in a community environment and use your clinical skills and good judgement to support a staff team to deliver excellent, person centred care which enables guests to enjoy their holiday at Leuchie. You will join as the Head of Care and we expect the post holder to become the Registered Manager with the Care Inspectorate, a role for which there will be dedicated support from the Head of Operations, with then a subsequent succession plan to report to the CEO. We are led by a Board, currently chaired by Sir David Tweedie. We have a small leadership team which is committed to improvement through transparency and a very dedicated staff team of around 100 employees. In addition we benefit from the skills and dedication of 70 regular volunteers. Our income comes from guest fees, fundraised income and a Scottish Government grant. This is a permanent role working full time, 70 hours per fortnight, 10 days from 12. Flexibility will be required to reflect the nature of our service. Do you have what it takes to make a difference? ENABLE Works are the leading Scottish organisation delivering high quality employability services for people who have learning disabilities. Your role is to lead one of four ENABLE Works regional areas, delivering support services across Aberdeen City, Aberdeenshire, Dundee and Angus, including work in schools, on European Social Funded projects, the Employability Fund and Fair Start Scotland. You will lead on the (1) delivery of performance and quality standards, (2) meeting of compliance and contractual requirements and (3) developing new business opportunities to support people who have additional support needs into work. You will manage a team of Employability Team Leaders, supporting their development as leaders and ensuring your wider team of Employment Coordinators deliver high quality services. You will engage strategically with both local and national contract managers, ensuring contracts are delivered and relationships maintained. You will lead on developing new business, in partnership with the Head of Growth, creating new opportunities for services, securing and implementing them. 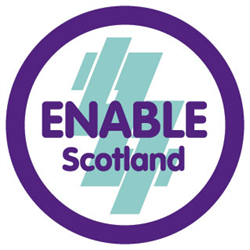 You will play a key role in how ENABLE Works influences policy and support for people who have learning disabilities in Scotland. 5. Coordinate compliant information systems and reporting systems in line with contract standards. Remember this is #morethanajob - it&apos;s the first step to you making a difference and beginning your career with an award winning charity with its values at its core.